On Friday 21st November we hosted a themed Roller Disco in support of Children In Need 2018. The Roller Disco is a monthly event and has become a huge hit with kids aged 5-15 years getting the opportunity to try out a new activity art the centre. 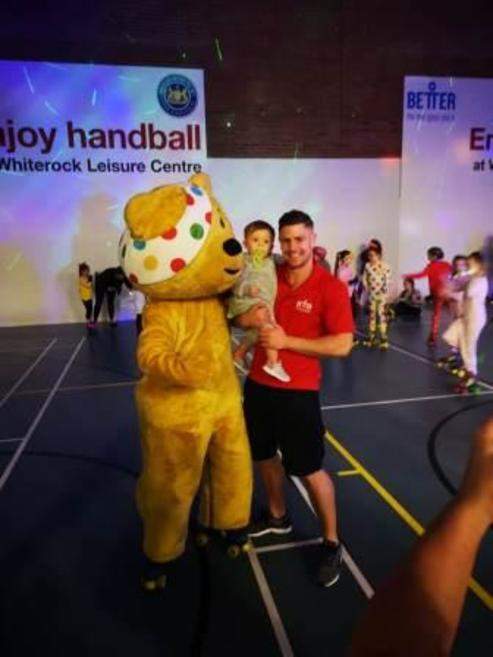 Over 40 young people took part in the Pudsey bear themed Disco, some of which were trying their hand at skating for the very first time. Sporting a pair of roller skates Pudsey himself made a very special appearance to say thank you to the young people for showing their support. After skating and dancing the night away to their favourite chart hits the kids gave great reviews, saying how they cant wait until the next one.